SK (SouKe) strives to create a reputable brand that specializes in high-quality cycling apparel. 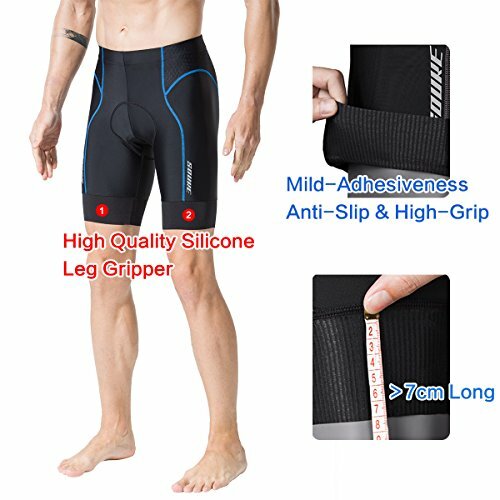 This is a high-quality cycling shorts designed for men’s cycling enthusiasts. 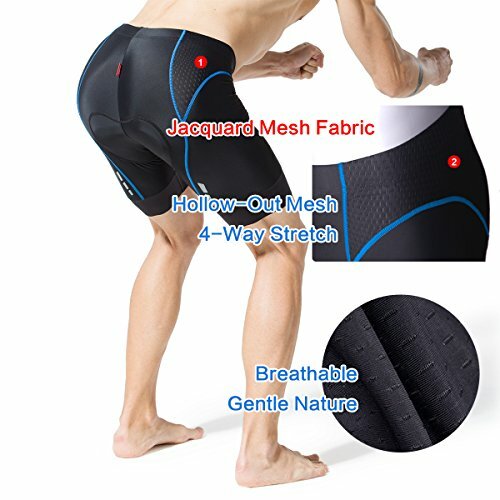 Looking for the perfect cycling shorts to ensure the comfort of your long-time ride? 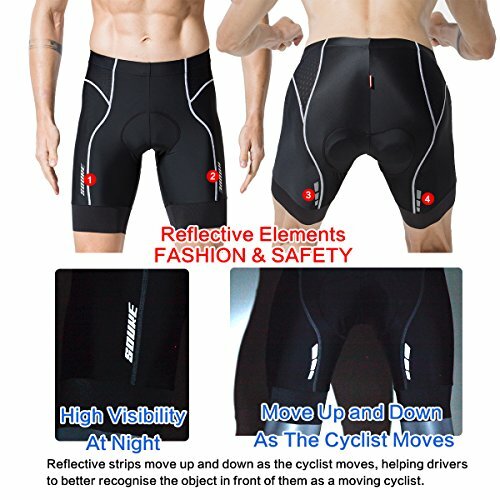 Or to keep the shorts breathable and dry during cycling? Or to provide enough padding for the Sit-Bones. 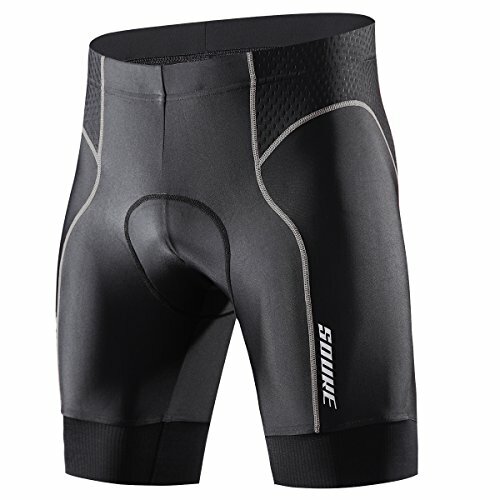 The SK cycling shorts is just what you need! 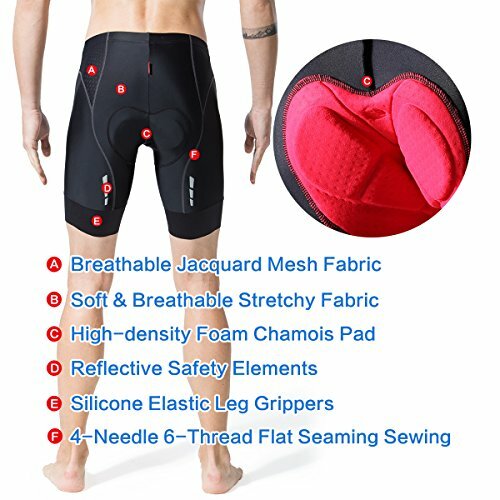 With its wicking fabric, well fit, high-density foam padded, this cycling shorts will make you to enjoy cycling much more. Our shorts are made from a 4 way stretch fabric with gripper elastic leg cuffs. 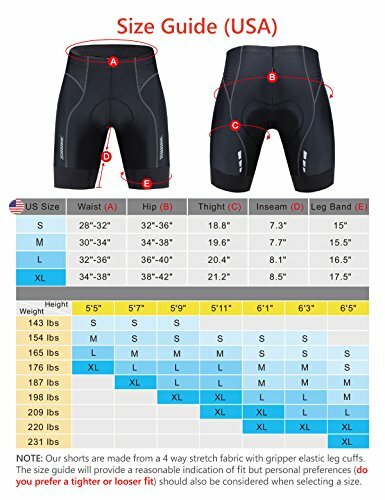 The size guide will provide a reasonable indication of fit but personal preferences (do you prefer a tighter or looser fit) should also be considered when selecting a size. Please measure your size and compare it with the table in the 7th image to get the correct size. What makes a good Chamois? – “3D” FOAM: Made with multiple densities of foam that he thickest areas exist to provide enough padding for the sit-bones. – High Resilience: The chamois FOAM has “memory”, meaning it remembers to keep its shape. 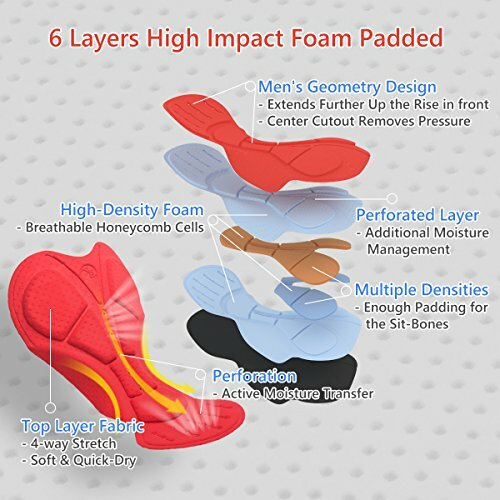 – 6 Layers high-density foam padded. 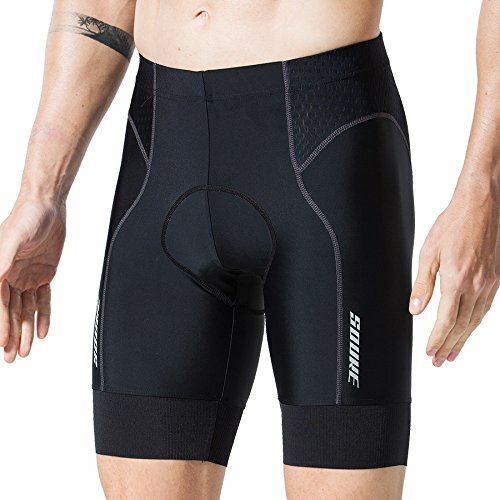 Whether you’re road cycling or mountain biking or spinning/indoor exercise biking, count on SK Cycling shorts for an unmatched mix of breathability and comfort. Click ‘Add to Cart’ now! ✅USE: Applicable to road cycling, spinning/indoor exercise bike and mountain biking, etc.